A gorgeous new bird illustration printed in black onto the timber veneer shade. 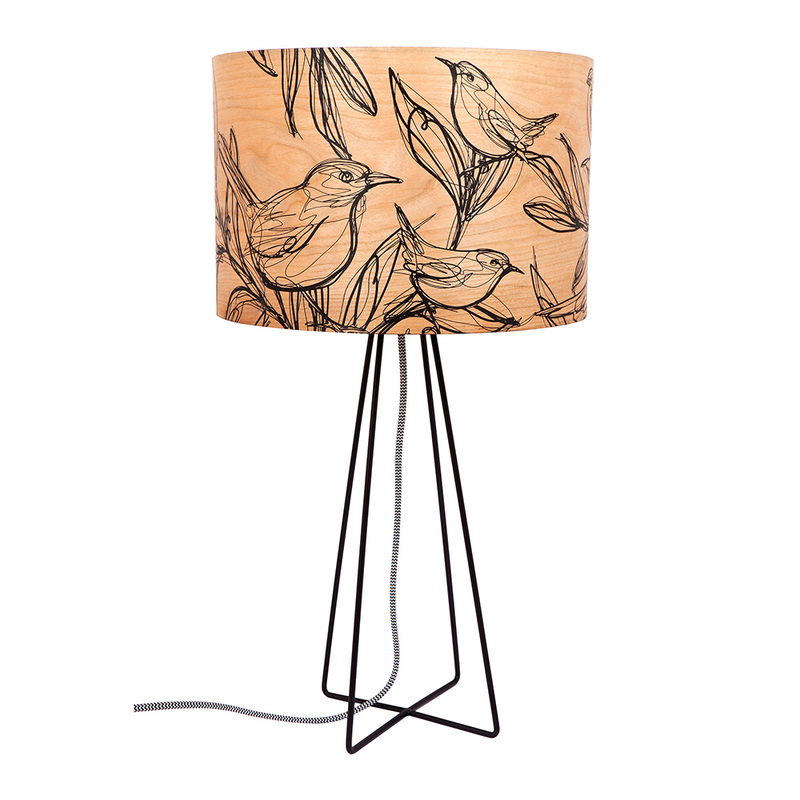 This Sketch Bird Table Lamp also features a new style black wire base which offsets the cylindrical shade perfectly. Wood veneer shade with black metal base and fabric cord. Standard E27/max 60W fitting (bulb not included). 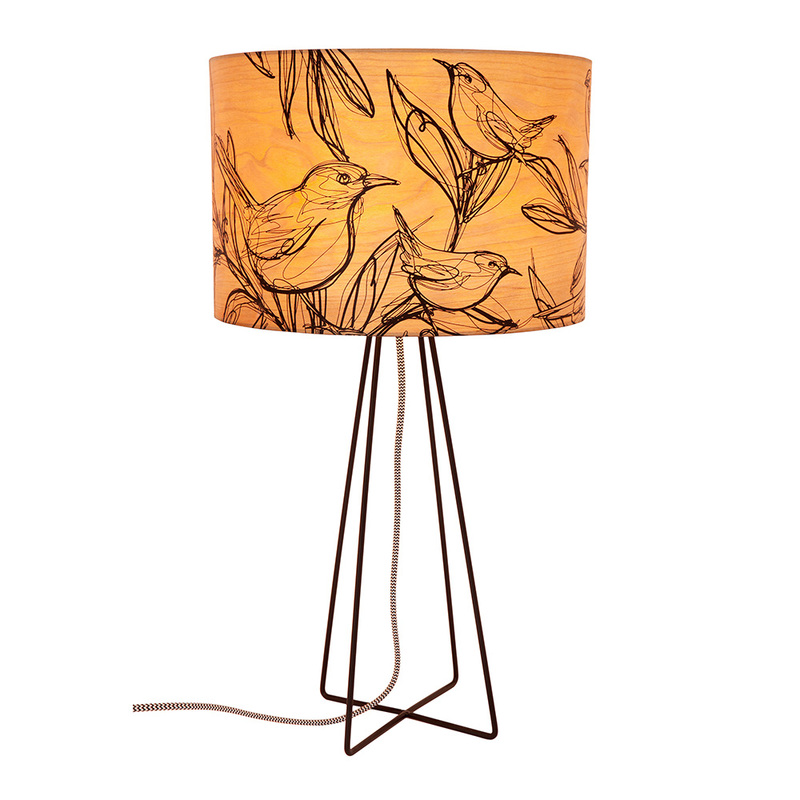 * Sketch Bird Table Lamp with Black Wire Base ships as a large parcel and does not qualify for FREE SHIPPING offers.